This monogrammed white cotton baby pillow or boudoir pillows is a wonderful gift for all occasions. Choose a light pink monogram for a new baby. Go for the block name in red for a little boys room The options are all yours. Wilson, my daughter, has a cute one with Wilson in curls on her bed. I have this one on the bed in the showroom. Combine it with the other monogram linens on the bed or use it as an accent in a baby's rocking chair. 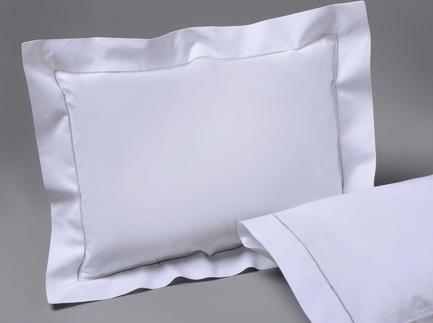 The form is included with this pillow. pillow measures 14 by 16.Top wedding and baby gift sellers. 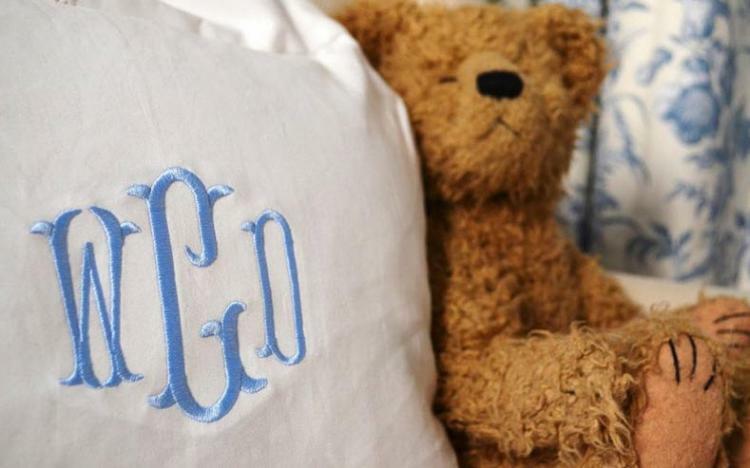 This makes a lovely gift for the Bride with her new monogram for the bed. I love the khaki thread for a basic color thread that will match everything. Pillow form is included!! This item will ship from Greenville, SC. Please allow 10-12 business days to ship. Thanks so much to our Blogger who took photos of her new nursery for us. Sarah Darcy at Classic Bride. Price: $43.00 In stock! - Browse this brand: The Pink MonogramOur products are custom made to your specifications. This product ships up to 2 weeks after your order is placed.